MAGIX Software. Discover Your Creative Side Today! 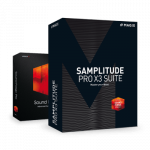 Get $50 off on MAGIX Music Maker Premium – Latest Version.